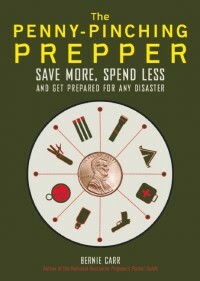 When disaster strikes, will you be ready? Will you be organized, calm, and ready to adapt to whatever the situation brings? Sometimes we have some warning, and sometimes things happen out of the blue. There is one simple secret that will allow you to sail through nearly any crisis. It doesn’t cost a lot of money, or take up an entire roomful of storage space. It’s your ability to accept the scenario. The more time you spend denying that this could ever happen to you, happen in your home town, or occur at all, the less time you have to take definitive action. In fact, your willingness to accept that disaster could strike before it ever does puts you even further ahead, because you’ll be ready for immediate action without wasting valuable time wrapping your brain around it. We recently hovered on the edge of evacuation for 12 days due to the King Fire, a forest fire that nearly reached 100,000 acres. We got up on a sunny Saturday morning, never realizing that would be the day an angry man would punctuate a domestic dispute by setting fire to a tree in the other person’s yard. Certainly, no one expected that one act of anger to set off a fire that would exceed the size of the city of Atlanta. No matter what situation you find yourself in, these steps will nearly always see you through. I can’t emphasize enough the importance of those sentimental items. We feared that if we had to leave our home, we might never be coming back. Identify the things that are dear to your heart and put them in a place where you can grab those treasures quickly. Insurance can’t replace photos of those who have passed on, special gifts, and items that bring you memories of loved ones. If the worst were to happen what would you need to put your life back together? You can’t take everything with you so what can you fit in one bag (per person.) A few photos, an external hard drive with important files, something that comforts your child. Know where are all those personal items are so you can grab them and run.